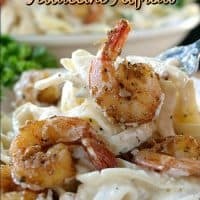 Here is a delicious Cajun Shrimp Fettuccine Alfredo that is scrumptious, easy to make and can be on the table in no time. It’s super creamy and deliciously flavored! 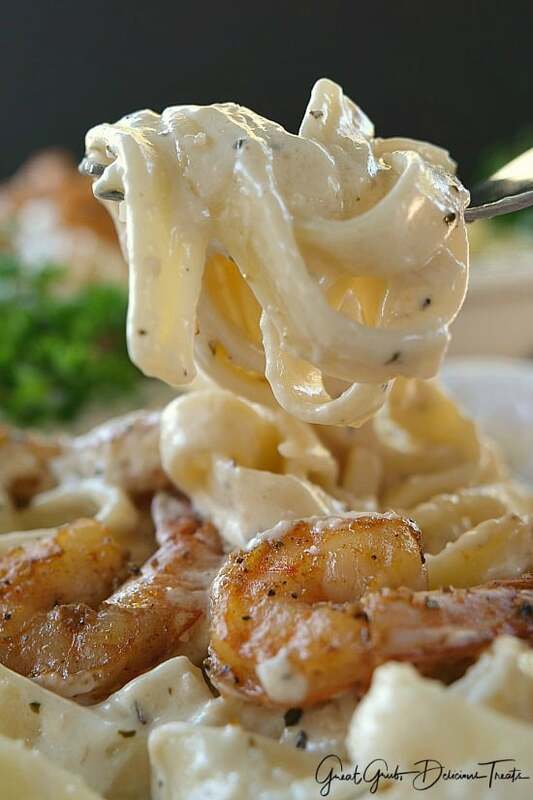 Are you a lover of Alfredo sauce? 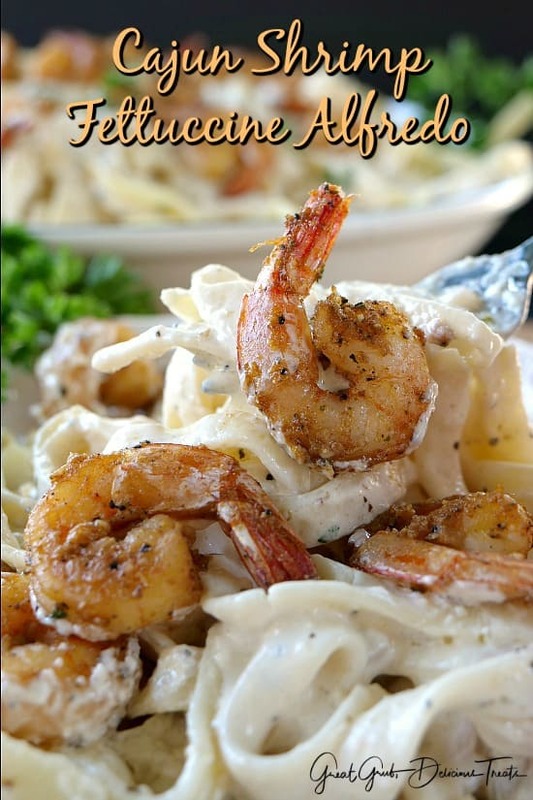 We sure are and this is a perfect dish that will surely satisfy the seafood lovers and Alfredo lovers out there. 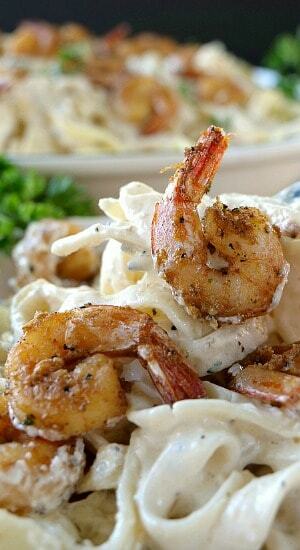 Chicken is amazing in this recipe as well and can also be substituted for the shrimp. 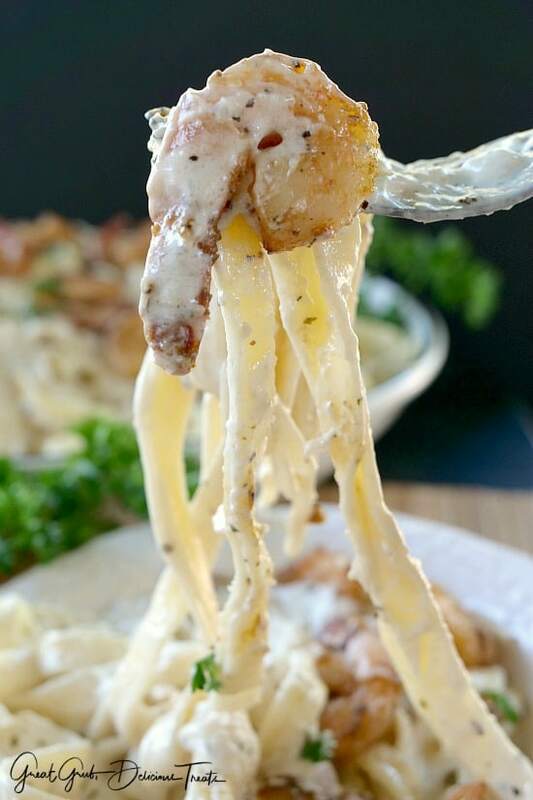 I always order a dish kind of like this but with chicken at Red Lobster®. Oh so good! To start off, bring water to a boil for the pasta. And for the sauce, in a large saucepan add butter, cream cheese, onions and garlic. Cook over low flame until the cream cheese is almost melted. Then add the heavy cream and seasonings stirring until melted. Next, stir in the Parmesan cheese. While the sauce and pasta are cooking and almost done, cook the shrimp. You will not be disappointed. 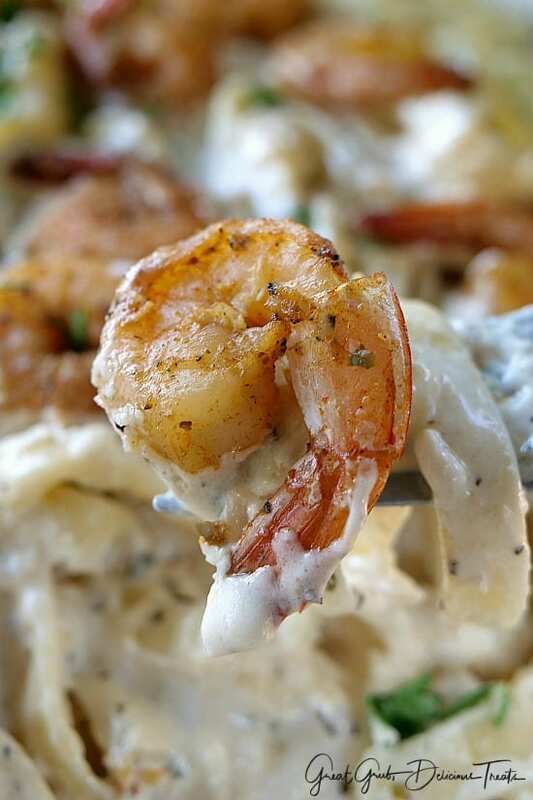 This Cajun Shrimp Fettuccine Alfredo is super delicious. 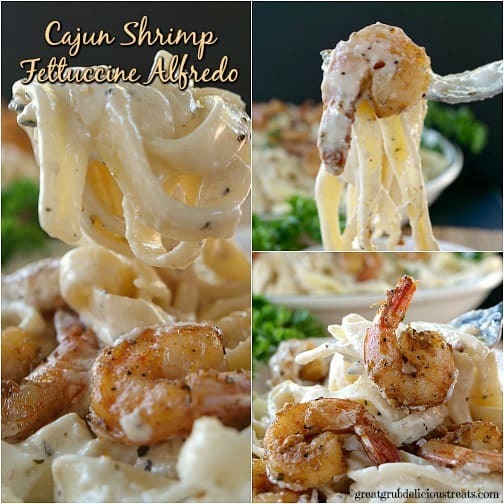 The Alfredo sauce is the same sauce that I used in my chicken spinach shrimp alfredo lasagna recipe which I adapted from The Recipe Critic. So yummy! Place frozen shrimp in strainer and run cold water over shrimp. For these shrimp, I placed the strainer over a bowl and let the shrimp sit in the cold water for about 10 minutes to defrost. Once defrosted, pat dry with a paper towel. Place Cajun seasoning, garlic salt, salt and pepper into a large baggie. Shake to mix. Add shrimp and gently shake to coat. Gently add shrimp to frying pan and cook, stirring occasionally, until done. About 2-3 minutes is all it takes. Cook pasta according to package directions. Rinse, set aside. 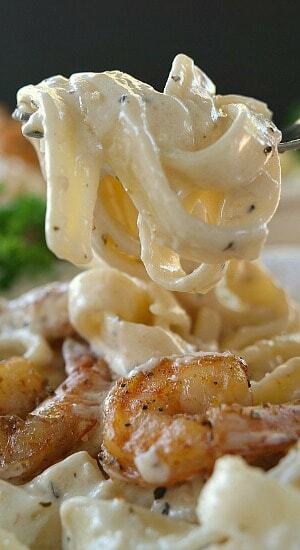 In a large sauce pan over low heat, add butter, cream cheese, onions and garlic. Next add oregano, basil, salt and pepper. 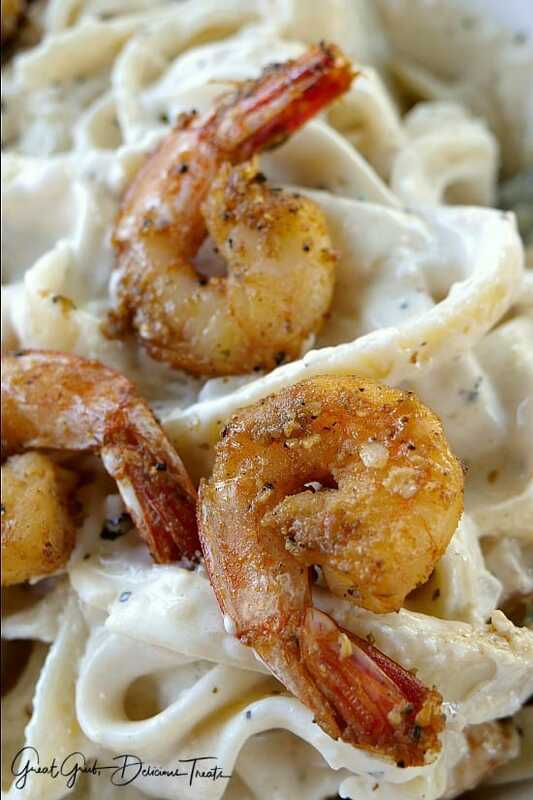 Once desired consistency is obtained, pour over pasta, top with Cajun shrimp. Dish looks absolutely yummy! Can’t wait to make it!